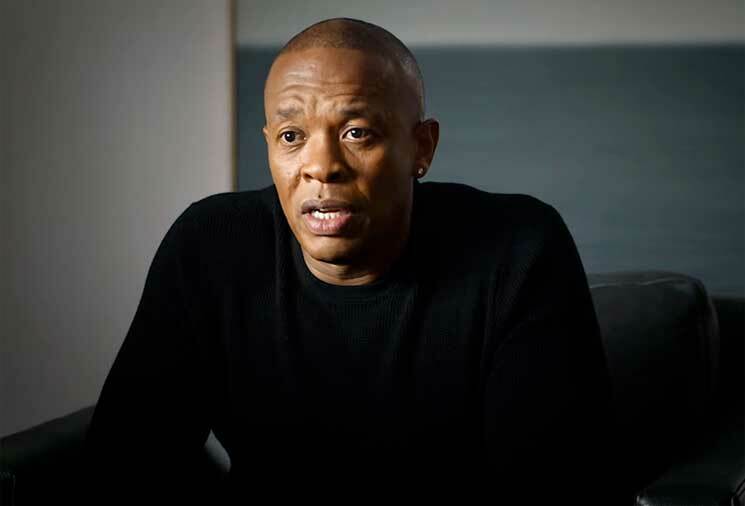 HBO's four-part series on Dr. Dre and Jimmy Iovine, The Defiant Ones, made its debut last night (July 9). While the doc will give viewers an in-depth look at the working relationship between the two, it's also given us new music from Dre himself. In the debut episode, a snippet of a new track titled "Gunfiyah" can be heard, featuring Dre spitting about his history of rap dominance over knocking drums and a horn sample. You can hear the snippet in the player below. It's unclear as to whether "Gunfiyah" signals the arrival of a new project from Dre, who released his first LP in over a decade with Compton back in 2015. Rumours also have recently popped up that Dr. Dre is working on Eminem's new album, though so far neither has confirmed or denied them.